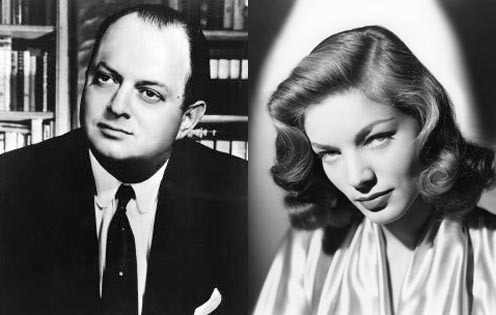 Both Lauren Bacall and Producer Jerry Wald were born today September 16 (13 years apart!). Wald produced both Dark Passage (1947) and Key Largo (1948) in which Lauren Bacall starred with hubby Humphrey Bogart — and Young Man with a Horn (1950) in which Bacall starred opposite Kirk Douglas. Jerry Wald was born Jerome Irving Wald on September 16, 1911 in Brooklyn, NY, and Betty Joan Perske (aka Lauren Bacall) was born on September 16, 1924 in New York City, NY. This entry was posted in Classic Movie Coincidence, Posts by Annmarie Gatti and tagged dark passage, Key Largo, lauren bacall, Producer Jerry Wald. Bookmark the permalink.